* Even practicing guitar chords! 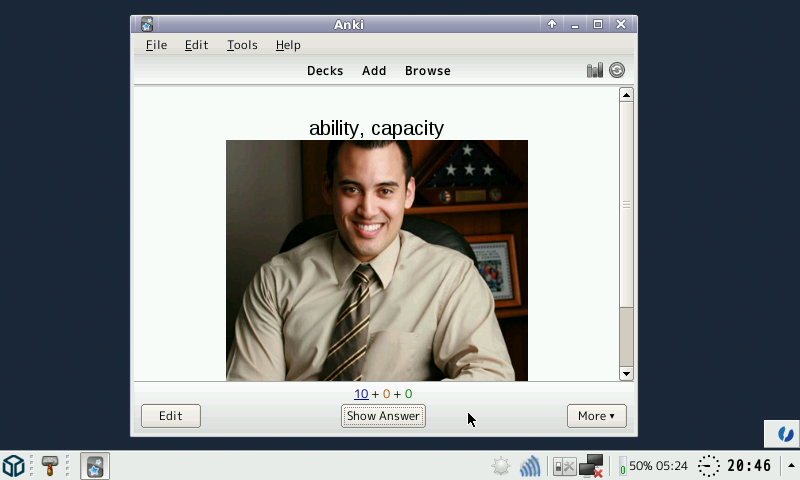 1) Make sure you have the wxpython.pnd from PtitSeb installed on your Pandora before trying to start Anki. 2) Get a deck to study stuff from, on the following page: https://ankiweb.net/shared/decks/ and put them where you want. 3) Start Anki from the "Education" menu folder in xfce, and the first thing you'll have to do is click on "import file" on the bottom right. Select the deck you want to study. 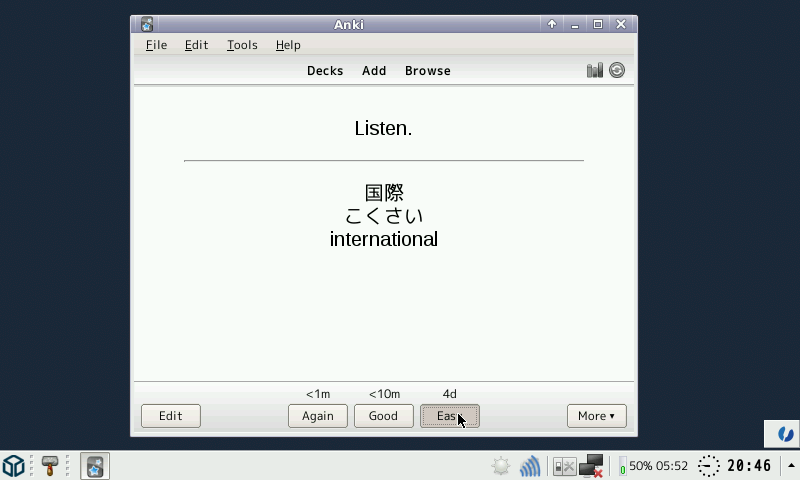 3) The deck will be loaded, and will appear in ANki's main window. Version 2.0.8.2 : Feb 13 2014 / Minor modification as an attempt to fix the locale issue for some users. Version 2.0.8.1 : Feb 10 2014 / first release. Candidate for the Alive and Kicking Coding Competition. Working again. Thanks for the awesome support! @nobgu: fixed with build 07 of wxpython. It's not working for me either. I'm using a 1ghz unit and it's the same error that magic_sam has. I haven't changed my locale nor can I find any way of changing my locale. I'm running the most recent firmware. Working fine. Following web links doesn't work (unsurprisingly) and it got into an endless loop after importing all 10 Mastering Chinese Character lessons and the first two Chinese Media lessons into as single profile.